When there’s a problem with your air conditioner, one thing is certain. Malfunctions don’t fix themselves. Neglecting concerns simply leads to more severe issues, higher running costs, energy waste and the potential for diminished comfort, polluted air quality, and property damage. As an entirely in-family company, Jarvis Heat & Air, LLC understands why homeowners tend to procrastinate over calling for repair. 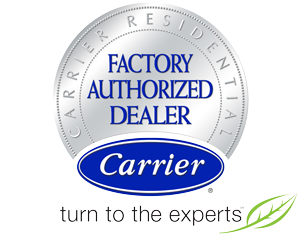 Rest assured, after 9 years of quality service in Gainesville, FL and surrounding areas, we’ve simplified things. Call us at 352-316-4573 and avoid the runaround. We’ll accommodate your schedule, arrive on time, clean up after the job, and provide honest answers. Our uniformed, factory trained, and experienced technicians are prepared for any challenge, and most often resolve everything in one visit. Call on Jarvis Heat & Air, LLC for all your air conditioner repair needs! Through cost-effective recommendations, we not only ensure smart decisions but target the reliable, long-term operation of all makes and models of cooling systems. Plus, Jarvis Heat & Air, LLC is always here when you need us, offering 24/7 air conditioner repair throughout Gainesville, FL.